When it comes to visibility into the health of your network. telemetry is all the rage these days. Even so, many customers are still plowing through old SNMP and Flow data to try to piece together what went wrong in their network with no easy way to back the clock up to a time before something broke your spine or leaf! Network downtime is usually costly and for many customers, large and small, can be mission critical. With these and many other reasons in mind, I’m really excited to introduce Cumulus NetQ. With NetQ, Cumulus Networks has reinvented, from the ground up, our original NetQ product to include a long list of very useful features that are sure to make NetQ a Network Operators best friend. NetQ is a highly-scalable, modern network operations toolset that provides visibility into and troubleshooting of your overlay and underlay networks in real-time. NetQ, delivers actionable insights and operational intelligence about the health of your network and your Linux-based data center — from the container, virtual machine, or host, all the way to the switch and port. In short, NetQ provides holistic, real-time intelligence about your modern network. So, what is unique about NetQ you ask! Well, since you asked, NetQ has been completely reimagined with some very unique features and advantages. You are sure to love the new GUI to help visualize everything that is happening in your network and beyond. It’s a single tool to manage everything Linux in your data center and provides seamless integration with third-party software such as Splunk, PagerDuty, Slack and others. But that’s not all! NetQ also drastically simplifies your ability to scale Cumulus Linux and streamline your container operations. Finally, NetQ can collect and save up to 90 days of real-time telemetry data, alert you immediately if something breaks or is misconfigured, tell you exactly where to find it, and then let you roll back to a previous version to avoid any downtime. Everything you need in a “modern” network. Under the covers, NetQ is a Cloud-based, microservices architecture with some obvious advantages that you can read all about in the links below. NetQ agents collect real-time telemetry data to then provide deep analytics for things like predictive troubleshooting with no performance impact to your switches or routers. In addition, it delivers web-scale levels of scalability that parallel the largest of tier 1 web-scale companies, in case you need it, and will soon offer a full set of Lifecycle management features and capabilities (coming soon). You’ll find a full set of collateral, videos, web pages and a press release below but don’t take my word for it, I would suggest you try NetQ for yourself by taking a test drive. If you would like to see NetQ in action, don’t hesitate to contact your sales team for a demo. Please let me know if you have any comments or questions, or via Twitter at @CicconeScott. Welcome to the Ubuntu Weekly Newsletter, Issue 575 for the week of April 14 – 20, 2019. The full version of this issue is available here. 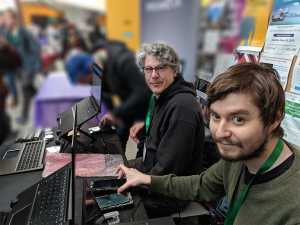 This next weekend (April 26-28th, 2019) I will be in Bellingham at Bellingham Technical College for Linux Fest Northwest to help at the Ubuntu table! I will be demonstrating Ubuntu Studio and my audio setup. I also have a few giveaways for fans of Ubuntu Studio fans. After all, nearly everybody loves vinyl stickers. I look forward to seeing you there! Also attending (that I know of) will be Valorie Zimmerman (Kubuntu), Dustin Krysak (Ubuntu Budgie), Simon Quigley (Lubuntu), Martin Wimpress (Ubuntu MATE, Canonical), and Alan Pope (Canonical). It’s going to be a blast! Strawberry is a music player and music collection organizer. It is a fork of Clementine released in 2018 aimed at music collectors, audio enthusiasts and audiophiles. The name is inspired by the band Strawbs. It’s based on a heavily modified version of Clementine created in 2012-2013. It’s written in C++ and Qt 5.
or via the Sparky APTus (with Sparky APTus Extra >= 0.2.16). The tool is available for Sparky 4/Debian Stretch and Sparky 5/Debian Buster. Bonus points for those of you who can guess where the main image for this post is from. One of the interesting elements of working with a range of different companies is being able to better understand the dynamics that influence how well a community will succeed or fail. These dynamics are many and broad, and include having a solid strategy, the right balance of transparency, executive and frontline and support, simple and sensible tooling, and more. Sadly, the availability of gin plays no concrete role in this success. Bah humbug. Within the context of companies building a community around a product, one of the most critical influences of this success, frankly, is having a product that (a) people actually want, and (b) that they can wrap their heads around it. This may seem obvious, but it is more complex than it may seem. If you look at the rich tapestry of open source, you have some very popular projects that serve broad needs such as Kubernetes, Node.js, Git, Docker, Angular, and others. But then, you have projects that serve very niche needs such as OpenMRS, SymPy, Astropy, and eht-imaging. All of these projects are thriving open source communities. Product – firstly, you need to have a product that the market wants, that can add value for your target audience, and maps well to your chosen open source model. Product/Engineering Workflow – secondly, if you are going to run a public open source project, you need to ensure your product and engineering teams can operate with an open, asynchronous workflow and can interface with public contributors. Community Strategy – thirdly, you are going to need a clear, unambiguous strategy for how you structure your community, hire the right team members, target the right audiences, build growth, and more. Internal Capabilities – finally, you are going to need to develop the skills in your company to accomplish all of the above. This will require staff training, support, mentoring, and leadership. Now, often when I am brought into a company, the client is typically very interested in focusing on points 2 – 4. After all, this is what a lot of people associate with the work I do. My first questions though almost always focus on (1). Is the product you have suitable for open sourcing, and will open sourcing it bring you and your prospective community the value you and they want? Open source is not a panacea. It is not a solution that will revive an uninteresting or poorly built product. I never recommend anyone goes down the open source road until they have assessed this important product suitability consideration first. Otherwise, they risk doing a lot of work for very limited benefit for anyone. To put it rather glibly, open source is not as simple as chucking some code into a public repository and blogging about it. It requires a careful balance of internal and public workflow, and needs a significant investment of time and energy to do well. As such, you want to be sure that this time and energy is not just worth it, but has a realistic chance of success for both you and your community. #1. Is there a market need/fit for your product? Open source has become increasingly interesting to companies who want to get developers using their product or platform. Developers are increasingly influential decision-makers in modern tech firms, and often prefer open source platforms. Market fit? 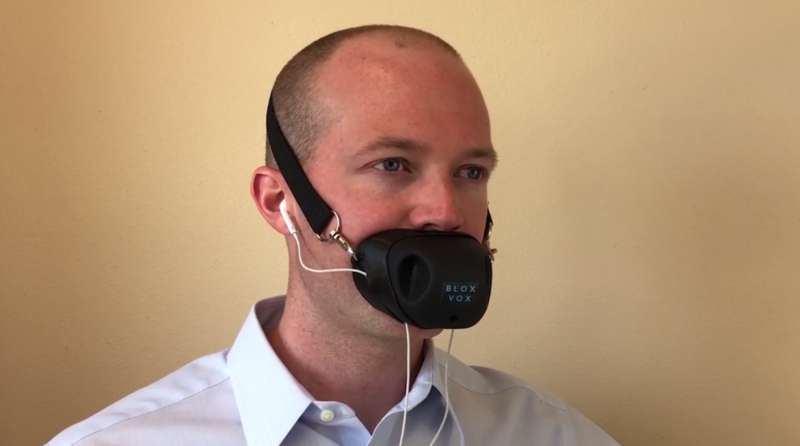 Would you wear this while on the phone so to not disturb others? No, you are not insane. The #1 thing your audience are looking for is clear, valuable functionality. Does the software do something that pragmatically make your audience’s lives better? If it doesn’t deliver this, no amount of open source will save it. So, try to understand what your core audience want and ensure your project can deliver it. If this is a new project, publish a roadmap for these key target features and focus on staffing the delivery of them. A compelling 1.0 is essential to interest both users and potential contributors. #2. What is the on-boarding experience like for new users? On a related note, how easy is it to get started using your project? Can a new user get up and running and experience tangible value within 10 minutes? No? Then you you need optimize your on-boarding experience. I have seen some bloody horror stories here: projects that make users jump through endless hoops, require complicated configuration (with little to no documentation), have dependencies on obscure or unavailable services, and other dents in the experience. Every step should logically lead to the next step. If it doesn’t, your onramp needs fixing. Your audience should be able to proceed simply and logically from one step to the next ultimately getting to the star, which is a piece of tangible value for them (e.g. completing a task, solving a problem, etc.). 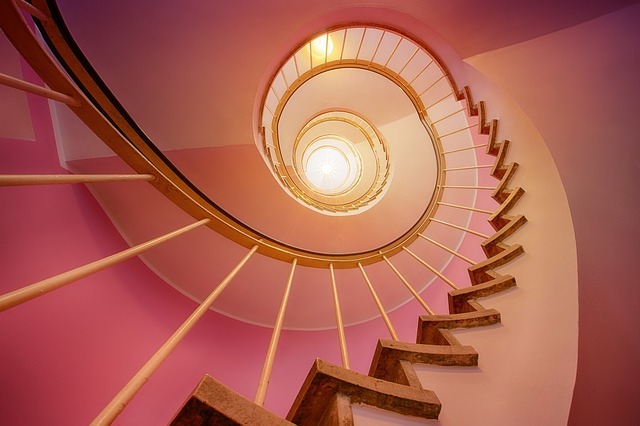 Now, while every project will use a slightly different set of steps, an onramp generally breaks down into understanding value, setting up tools, learning skills, and using the tools and skills to produce something valuable. (1) and (6) are highlighted in the above graph because they should be on every onramp: you always need to communicate the value of your project (such as via websites, social media, etc) and validate the people who use it successfully (such as with rewards, engagement, and opportunities). The latter is especially important for building lasting relationships with your community. Think about how to simplify the overall onramp (you should explore how muntzing can help here). Then, ensure that each transition from one step to the next step is logical and try to understand and resolve where people get stuck. If you don’t do this, you will struggle to build a userbase for your project, which is a critical requirement before you can consider developing a contributor-base. #3. What are your primary goals for open sourcing it? We want to increase market awareness and adoption. We want to increase engineering contributions to the project. We want to increase the company’s brand recognition. This is where things can get complex: open source projects can often lead to many of the benefits listed above, but it is not just the nature of being open source that will drive these benefits, it is the focused strategy efforts you put in place that will. For example, if your goal is “increasing engineering contributions”, putting code in a repo will not merely lead to this. Clear developer on-boarding, solid documentation, building meaningful community relationships with developers, developer focused content and outreach, and other efforts will help drive this growth. The risk some companies face here is that they think of the value of open source primarily from their own perspective, but don’t focus enough on what value their users want to experience too. How can you build an open source community that gives your users greater information, flexibility, and communication with the project and your team? How can your users play a more meaningful role in the project? If you build an environment with your users’ needs in mind, you will build a a far more engaging and valuable community in general. #4. What new skills and resources do you need to build in your company to do this work well? It took me far too long to realize that a significant determining factor of community success is not just making the right strategic choices, but also baking those skills effectively into an organization. For many companies, switching to an open source model is a significant change of workflow, policy, and how you incentivize your team. Aside from picking the right set of open source strategic steps (such as how you publish code, manage issues, build community engagement and growth etc. 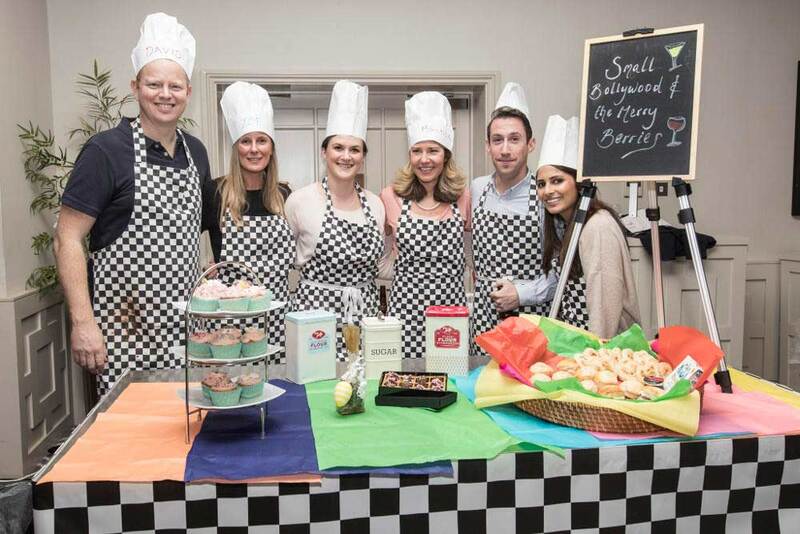 ), you should also plan for how to bake these skills and expertise into your teams. An an example, one key element of being an open source project is receiving and responding to pull requests with new features and fixes. This requires your team members to be able to review those PRs, test them, provide constructive feedback, and approve or reject the contribution based on merit. It requires calm and constructive feedback, often with people you don’t know and trust yet. It requires the overall code review process to happen end-to-end out in the open. Overall this needs a nuanced set of skills such as peer review, technical collaboration, open build management, and other pieces. For companies less familiar with open source, this is all going to seem a bit weird and uncomfortable. Your team members are going to hesitant to engage, not only because it is new, but they also don’t want to put a foot wrong and get in trouble. This is entirely normal. As such, think about how to break these skills down into simple pieces, provide the right level of training and support, and how to mentor and support people through this transition. Help them to build a habit around participation, and develop incentives, rewards, and other mechanisms to help them naturally orient to an open workflow and enjoy engaging in it. The post Open Source Won’t Save A Subpar Product appeared first on Jono Bacon. After over a year without posting, I am back to review the latest release of Ubuntu, Disco Dingo 19.04. Finally, Ubuntu 19.04 comes with the 5 series of the kernel, meaning we are getting cutting edge version of the kernel. People everyone are mentioning the fact that is given a significant battery duration boost, although I haven’t tried it. I use my computer mainly at home and it’s always plugged in. Personally though, using a more recent kernel is awesome, as I am more balanced torward freshness of the software in favour of stability (but not to the point things break on a daily basis). In fact, the entire experience feels improved, sharper, more responsive than before. The system is the same, so there is nothing related to hardware changes. They also removed Python 2 from the base installation but I feel that was expected as Python 2 will stop being supported very soon. I’ll take my chances and simply say that Ubuntu is making significant progress in becoming the linux distribution of choice for a lot of people. It just works, whether you have a potato computer, or a high-end beast. Great job, everyone. The Whonix team has exciting news to share with our community! The Whonix project has applied to the Google Season of Docs 2019! If you are unfamiliar with the Season of Docs that’s OK because this is the first year of the program. Once you learn more about the program and how it benefits open-source you will be just as enthusiastic about participating as we are. Season of Docs is Google’s annual program that fosters collaboration between open-source project and tech writers. The goal of this program is to provide a framework for technical writers and open source projects to work together towards the common goal of improving an open source project’s documentation. For technical writers who are new to open source, the program provides an opportunity to gain experience in contributing to open source projects. For technical writers who’re already working in open source, the program provides a potentially new way of working together. Season of Docs also gives open source projects an opportunity to engage more of the technical writing community. During the program, technical writers spend a few months working closely with an open source community. They bring their technical writing expertise to the project’s documentation, and at the same time learn about the open source project and new technologies. If you’re a technical writer that’s interested in submitting a project proposal check out the project ideas we have for you at our dedicated Season of Docs wiki. If you don’t find your perfect fit, but have a great project proposal we would be eager to hear about it. If you have any questions please don’t hesitate to contact us. Do you know a tech writer that might be interested in Season of Docs? You can use this sample email message to give them the information they need to get started. Whats made our project and wiki such a success over the years is the continuing involvement from our awesome community. And Season of Docs is no different. So if you would like to become involved with this years program and support open-source, and the Whonix project, it will make this first year of Season of Docs the one to remember and we can set the bar high for the coming years to come. On behalf of the Whonix team we would like to thank you for all of your support and we look forward to your participation, feedback and unending enthusiasm for this years’ program. It's been a while since we last posted an update. Kodi v18 was released at the end of January and since then we've been working on readying a stable release for OSMC supported devices. The Kodi Leia (v18) update is not available for Vero 1 (late 2015) users and we now consider the device to be end of life. We'd like to thank those who have tested our nightly builds as well as pre-release test builds. 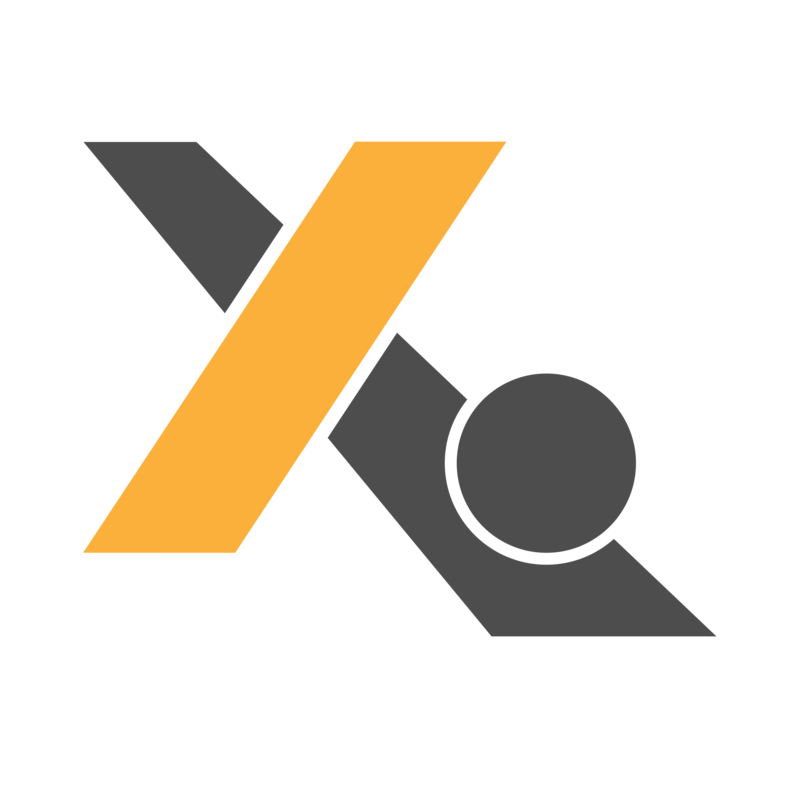 We have now started to produce nightly builds for Kodi v19. We now endeavour to resume the monthly update cycle and will track Kodi v18 point releases in a timely manner. Please be aware that this version of Kodi Leia uses a new database schema that is incompatible with older versions of Kodi. If you are using Kodi on other devices with a shared MySQL library, then you should ensure that those devices can also be upgraded to Kodi Leia as well before proceeding. Your skins or add-ons of choice may not necessarily be compatible with the new version of Kodi. You should check with the developer of any add-ons or skins before updating and enquire if there is a Leia compatible version. Most add-ons should work without issue, however Kodi's skinning engine has been significantly revamped in this version. We recommend that you switch to the OSMC skin before upgrading, then attempt to switch back to your skin of choice if you use a different skin. You should also note that some add-ons may be disabled by default after upgrading. You can re-enable them manually to get them working again. If you'd like to get the best OSMC experience, we recommend Vero 4K +, which allows you to enjoy HEVC, HDR10 and HD audio. You may also wish to check out our Store, which offers a wide variety of high quality products which will help you get the best of OSMC. Our flagship device, Vero 4K + is currently on sale, which is a great way to get the best OSMC experience if you're after HDR10, HD audio and 4K HEVC support in a complete package. 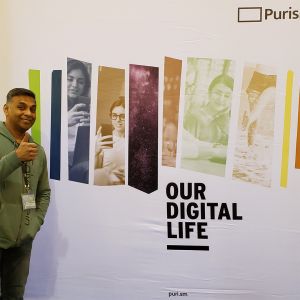 As nossas aventuras, falámos do Ubuntu 19.04 Disco Dingo e da Ubucon Portugal 2019. Mas claro que também passámos pelas notícias, por alguns snaps e pela agenda. Já sabes: ouve, subscreve e partilha! This issue was firstly reported on HackerOne and was managed on the Gitlab issues’ tracker. Both links are now publicly accessible. rogue is added as reporter, and then they are promoted for a project, and so on. When an admin removes a user from a private group, there is no indication that the user still has access to private projects, if their role was changed. User can still see all resources of a project of a secret group after they have been removed from the parent’s group. Gitlab awarded me a $2000 bounty award for the disclosure. If you follow my blog, you know I deeply love Gitlab: I contribute to it, I write blog posts, and I advocate for it any time I can. Still, I think this experience was awful, to say the least. There was a total lack of communication by their side, they thought they fixed the issue the first time, but actually, it wasn’t fixed. If they had communicated with me, I would have double checked their work. After that, they deployed the fix and went public, without telling me. I was not interested in the bounty (for which I am grateful), I reported the issue because I care about Gitlab. Nonetheless, my love for Gitlab is still the same! I just hope they will improve this part of communication / contributing to Gitlab: in the last couple of years the community around the project grew a lot, and they are doing amazing with it, maybe the Community team should step in and help also the security community? To catch you up to speed quickly, I have a six-part blog series that will show you how to set up the CL 3.7.5 campus design feature: Multi-Domain Authentication. We’ll cover it all: Wired 802.1X Authentication using Aruba ClearPass, Wired MAC Authentication using Aruba ClearPass, Multi-Domain Authentication using Aruba ClearPass, Wired 802.1x using Cisco ISE, Wired MAC Authentication using Cisco ISE, and Multi-Domain Authentication using Cisco ISE. 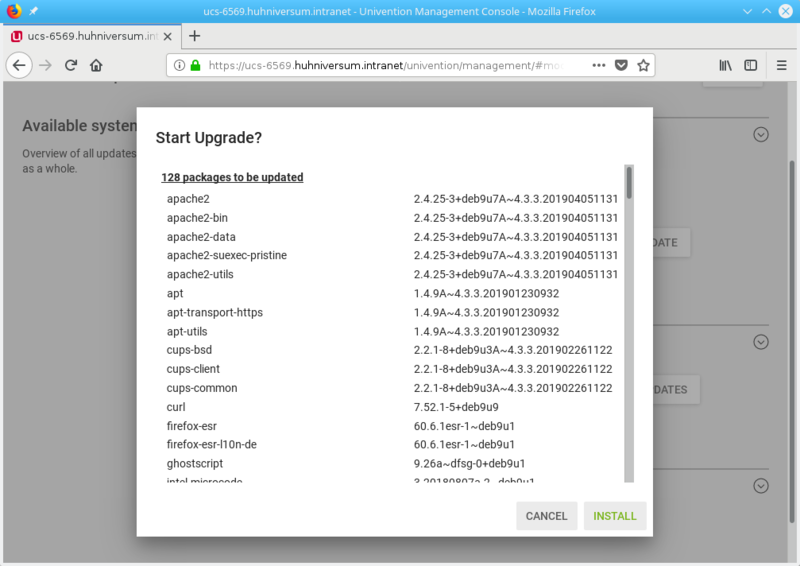 In the last blog, I showed you how to enable wired 802.1X authentication in Cumulus Linux 3.7.5+ using Aruba ClearPass 6.7.x. 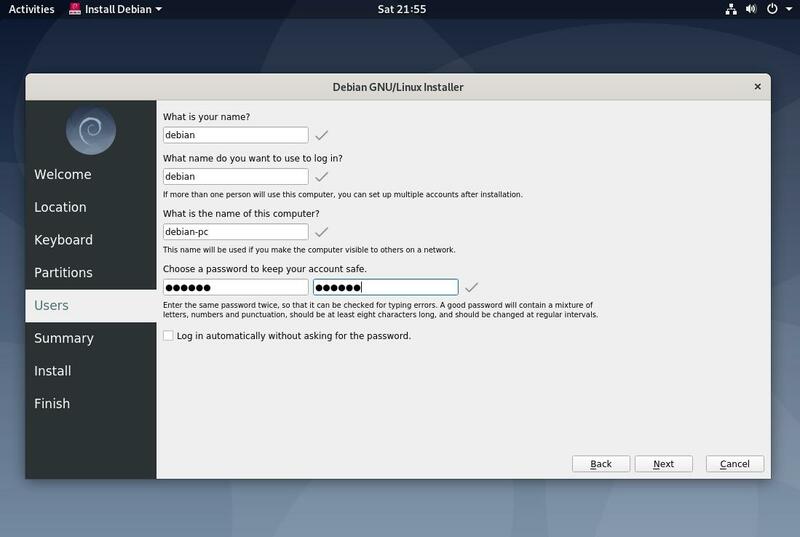 In this second guide, I’ll be sharing is how to enable wired MAC Authentication in Cumulus Linux 3.7.5+ using Aruba ClearPass 6.7.x. Keep in mind that this step-by-step guide assumes that you have already performed an initial setup of Aruba ClearPass. We are going to move the “Cumulus OOB SW” from the left-hand, “Available Devices” column, over to the “Selected Devices” column. All future Cumulus switches can be added to this Device Group and will inherit all of the upcoming configuration elements. On the “Profile” tab, select “VLAN Enforcement” from the “Template” drop down. Select “[Deny Access Profile]” as the “Default Profile” from the drop-down menu. On the “Rules” tab, we are going to create a specific rule for the VoIP phone with the Dynamic VLAN. A MAC Authenticated device will use its MAC Address as the username for the connection. Under the “Profile Names”, select the “PoC – Cumulus Dynamic VLAN 36” that was created in the previous step. Click the “Save” button in the bottom right-hand corner. The Enforcement Policy should look like the above. Click the “Save” button in the bottom right-hand corner to continue. The “Value” is the name of the Device Group that was added in Step #2 above. On the “Enforcement” tab, select the “PoC – Cumulus MAC Authentication Policy” that was created in step #4. I am going to be using “swp11” to test wired MAC Authentication. Notice that the “Status Flags” report that this connection is using a “[DYNAMIC VLAN]” which is being sent from the ClearPass server. The “Server Flags” are also reporting “[MAB]”, which is the abbreviation for MAC Authentication Bypass. Radius:IETF:Tunnel-Private-Group-Id – We are sending VLAN value “36” down to the Cumulus Switch as a Dynamic VLAN. For further wired MAC Authentication802.1x troubleshooting, the link in the 802.1x Interface docs page is an invaluable resource. In the next blog, we’ll move on to Multi-Domain Authentication using Aruba ClearPass. As always, be sure to take a look at some of the other tutorials we offer engineers where you can learn basic open networking commands and configurations, all the way up to advanced configurations. Wondering where a great place to start it? Check out our how-to videos. The Xubuntu team is happy to announce the immediate release of Xubuntu 19.04! Xubuntu 19.04 is a regular release and will be supported for 9 months, until January 2020. If you need a stable environment with longer support time, we recommend that you use Xubuntu 18.04 LTS instead. 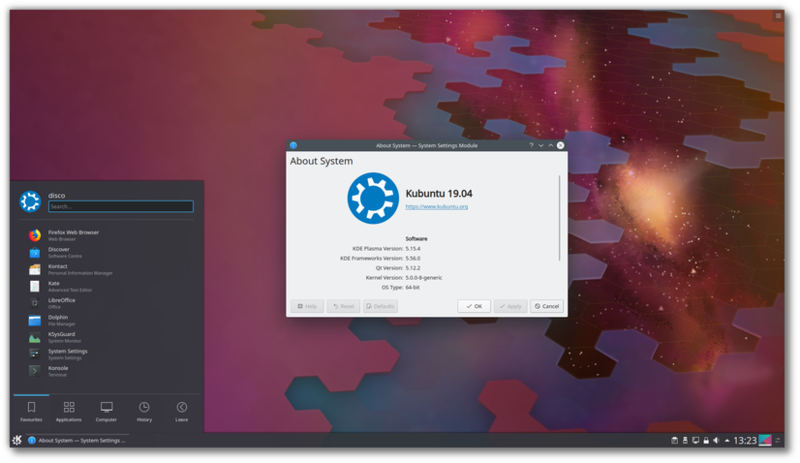 Xubuntu 19.04 features a wide range of bug fixes for issues identified in previous releases, many of which have already been backported to the stable releases. AptURL, The GIMP, and LibreOffice Impress have been included to provide a more complete and user-friendly desktop experience. New keyboard shortcuts make it easier and faster to get work done. Shift + Print Screen will capture a screenshot for a specified region. Press F4 in Thunar to open a terminal window in the current path, or press Ctrl + Shift + F to search for files. Many Xfce 4.13 components have been added or updated, providing an updated snapshot of Xfce 4.14 development. If more than one instance of the Xfce Pulseaudio Plugin is added to the panel, volume notifications will be duplicated. Tooltips can become unresponsive in the Xfce Task Manager. Usually a bit of movement will cause the tooltip to fade away. What changed since the Ubuntu MATE 18.10 final release? 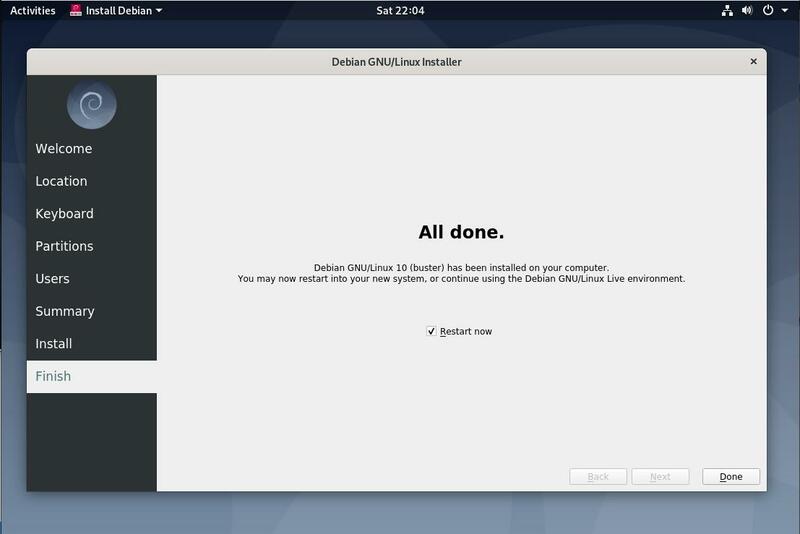 Those of you who follow the desktop Linux news will know that upstream MATE Desktop recently released version 1.22. Let's rip that band-aid off and get this over quickly. Ubuntu MATE 19.04 is shipping with MATE Desktop 1.20. Albeit, the latest maintenance release of MATE Desktop 1.20 with some of the bug fixes and new features from MATE Desktop 1.22 included. 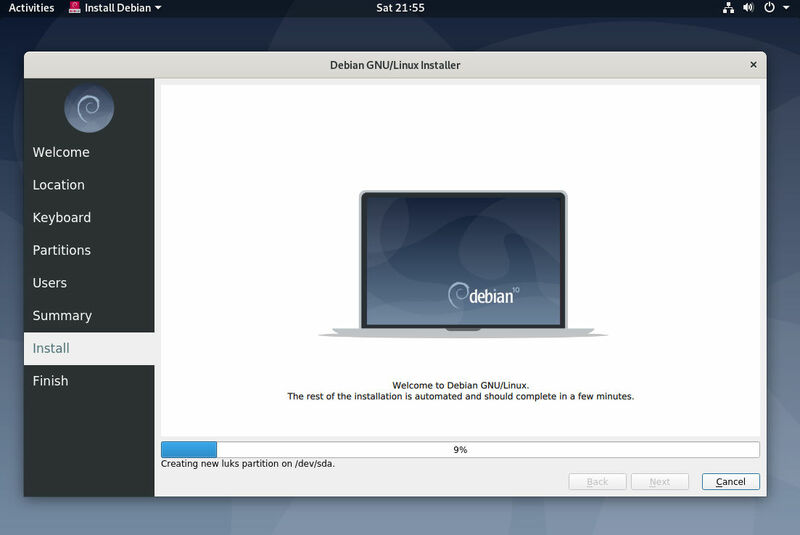 In fact, the version of MATE Desktop being shipped in 19.04 is derived from the same MATE packages that will feature in the upcoming Debian 10 (Buster) release. You may be wondering why we're not shipping MATE Desktop 1.22? The answer, stability. MATE Desktop 1.22 introduces some underlying API changes in core components and while all first party MATE Desktop applications are compatible with the changes and completely stable, some third party applications are not. Some third party applications are big crashers now and we've not been able to fix them in time. So, we are playing it safe and sticking with MATE Desktop 1.20 and working with upstreams so we can land MATE Desktop 1.22 early in the Ubuntu MATE 19.10 development cycle. During the Ubuntu 18.10 development cycle the Linux kernel, firmware, Mesa and Vulkan were all updated to ensure we offered the best possible support for sipping AMD GPUs. During the 19.04 cycle AMD support has been uplifted again but we have also improved the "out of box" experience for NVIDIA GPU owners too. If you have an NVIDIA GPU connected to your computer and select Install third-party software for graphics and Wi-Fi hardware during installation, the NVIDIA proprietary drivers will be installed. Post install, the proprietary NVIDIA drivers are installed and configured. To confirm this, open a terminal and run nvidia-smi. Ubuntu MATE users with laptops that support hybrid graphics will see the MATE Optimus hybrid graphics applet displaying the NVIDIA logo. MATE Dock Applet has been updated to 0.88 which introduces some new visual options, based on the look of the Unity desktop. As seen in the screenshot at the start of this post, this has been used in the Mutiny layout to further mimic Unity 7. 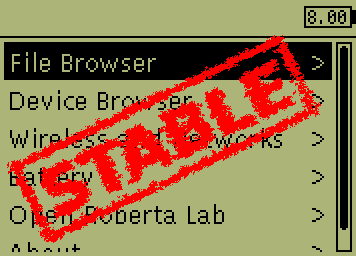 Our MATE Desktop 1.20 packages ship with patches to support Remote Desktop Awareness (RDA). 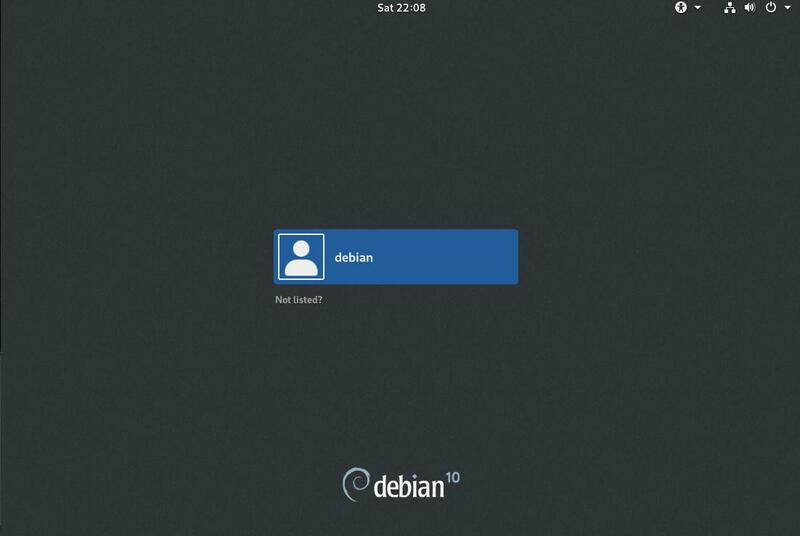 RDA makes MATE Desktop more aware of its execution context so that it behaves differently when run inside a remote desktop session compared to when running on local hardware. Different remote technology solutions support different features and they can now be queried from within MATE components. 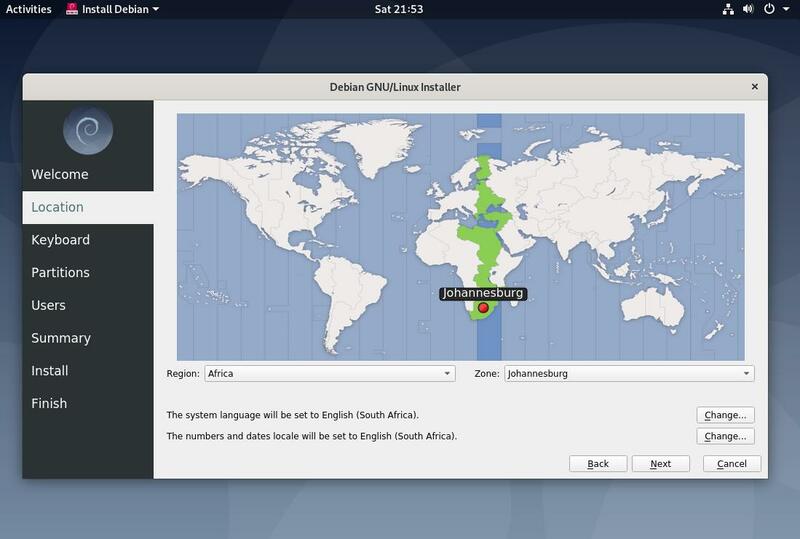 The inclusion of RDA offers the option to suspend your remote connection; supports folder sharing in Caja; MIME type bindings for SSHFS shares and allows session suspension via the MATE screensaver. Alongside the generic image for 64-bit Intel PCs, we're also releasing bespoke images for the GPD Pocket and GPD Pocket 2. These include hardware specific tweaks to get these devices working "out of the box" without any faffing about. See our GPD Pocket page for more details. 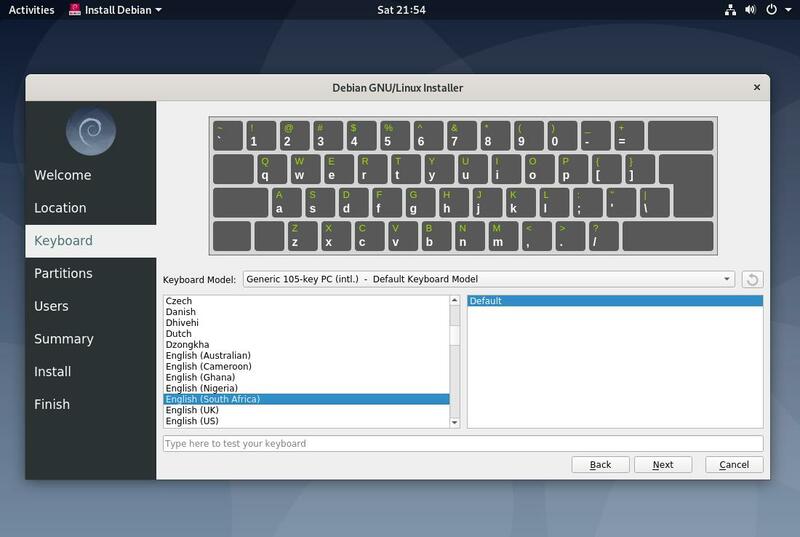 Accompanying MATE Desktop 1.20.4 and Linux 5.0.0 are Firefox 66.0.3, VLC 3.0.6, LibreOffice 6.2.2.2 and Thunderbird 60.6.1. See the Ubuntu 19.04 Release Notes for details of all the changes and improvements in Ubuntu that Ubuntu MATE benefits from. Our download page makes it easy to acquire the most suitable build for your hardware. Open the "Software & Updates" from the Control Center. Press Alt+F2 and type in update-manager -c into the command box. Click "Upgrade" and follow the on-screen instructions. When selecting third-party drivers during install causes a long pause before the install proceeds. This is the ubuntu-drivers tool refreshing it's cache. Please wait a couple of minutes and the install will continue normally. You'll also want to check the Ubuntu MATE bug tracker to see what has already been reported. These issues will be addressed in due course. Der Beitrag Besserer Service dank professionellem Geschäftsprozessmanagement erschien zuerst auf Münchner IT-Blog. Xubuntu 19.04 “Disco Dingo” is just around the corner. It features numerous updates and an updated snapshot of Xfce 4.14 development. If you want to see all the changes, you’ve come to the right place! Click here for a complete list of package changes. Orage and Quick Launcher, Gone! Orage Calendar is no longer included. This decision comes following a team vote during the November community meeting. Xfce Quick Launcher Plugin has been removed from the Debian and Ubuntu archives due to it no longer being supported. Installing a package with AptURL. AptURL provides an easy way to link to and install packages from the repositories. It supports most browsers and works without any additional configuration when installed. Anytime you see an apt:// link on the internet, just click and install. For example, why not install Super Tux Kart? It’s back! Not seen in Xubuntu since 15.04 “Vivid Vervet”, GIMP (GNU Image Manipulating Program), the powerful and feature-packed image editor has been added back to Xubuntu 19.04. While it has a bit of a learning curve, there’s a number of tutorials on gimp.org to get you up to speed. LibreOffice Impress Has Finally Arrived! Make great presentations in moments with LO Impress. With the addition of LibreOffice Impress, the Xubuntu office suite is now complete! Impress makes it possible for users to quickly and easily produce and present high-quality presentations. It comes with a number of great templates already installed, and hundreds more at the LibreOffice Extensions website. This list will quickly highlight some of the biggest changes in each new update. The classic layout returns to Xfce and Xubuntu. Highlighting fixes are a welcome graphical improvement. Even the print dialog looks better in Greybird! I feel like this update deserves a special mention. rizmut did an amazing job refreshing the elementary theme and making it consistent everywhere. Mugshot in the Setting Manager, where it belongs. Skip the trash bin and delete files forever! Without the category panel, things are much tidier! Specify the maximum icon size for improved control. Now with an adaptive forecast background! You’re still here after all that, amazing! Excited about Xfce or Xubuntu, and want to help out? Share this post on your favorite social media and let everybody know how much you love our work. If you want to contribute (and anybody can, really! 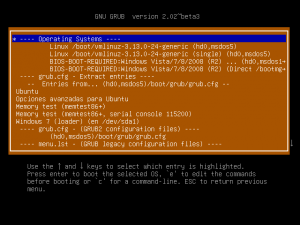 ), check out the Xubuntu contributor documentation to learn how to get started. Qubes Tor onion services are available again! We previously announced that the Qubes Tor onion services were no longer being maintained due to lack of resources. However, Unman generously agreed to bring them back, and they’re now available once again! Soon, you will be able to get the new, correct repo definitions just by updating dom0 and your TemplateVMs. However, if you can’t wait, you can edit your repository definitions by following the instructions below. Follow these instructions only if you wish to update dom0 and your TemplateVMs over Tor (via sys-whonix). This is an opt-in feature. If, instead, you wish to update over your regular network connection (aka “clearnet”), or if you are not sure, then do not follow these instructions. In order to use the new onion services, you must ensure that every line that contains an onion address uses the appropriate new address above. We’ll go through this for dom0, Fedora templates, Debian, and Whonix templates. For additional information, see Onionizing Repositories on the Whonix wiki. In dom0, open /etc/yum.repos.d/qubes-dom0.repo in a text editor. Comment out all the baseurl = https://yum.qubes-os.org/[...] and metalink lines. Uncomment all the baseurl = [...].onion lines. Open /etc/yum.repos.d/qubes-templates.repo in a text editor and repeat steps 2-4. In Qubes Global Settings, set Dom0 UpdateVM to sys-whonix. In the TemplateVM, open /etc/yum.repos.d/qubes-r4.repo in a text editor. 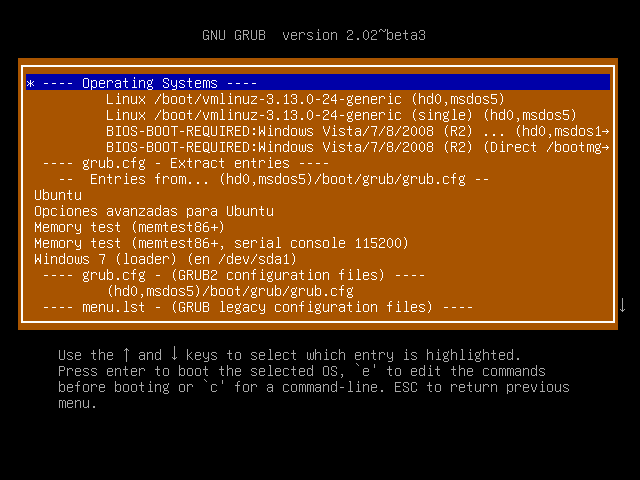 Comment out every line that contains yum.qubes-os.org. Uncomment every line that contains .onion. In the TemplateVM, open /etc/apt/sources.list.d/qubes-r4.list in a text editor. Comment out every line that contains deb.qubes-os.org. 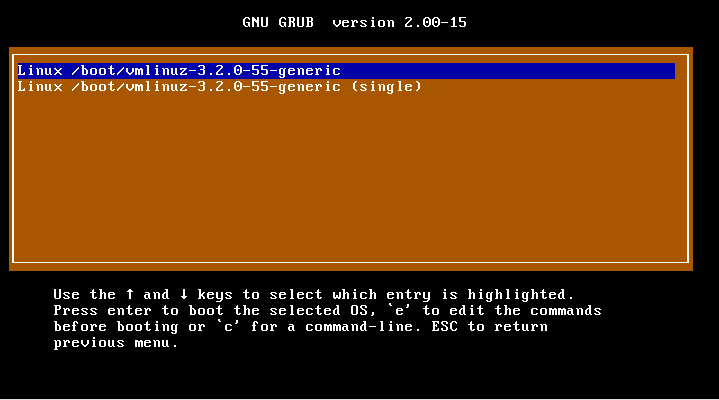 UPDATE 2019-04-23: the above is confirmed to work with Fedora 28 and 29 (though, if using the resulting image to test snapd, be sure to configure the password as ‘fedora’ and then be sure to ‘yum update ; yum install kernel-modules nc strace’ in the image). 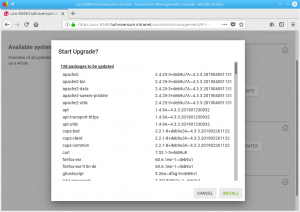 Shared knowledge makes for a stronger ecosystem and with this in mind, I’m going to show you how to set up the CL 3.7.5 campus feature: Multi-Domain Authentication in a 6-part blog series. We’ll cover it all: Wired MAC Authentication using Aruba ClearPass, Multi-Domain Authentication using Aruba ClearPass, Wired 802.1x using Cisco ISE, Wired MAC Authentication using Cisco ISE, and Multi-Domain Authentication using Cisco ISE. 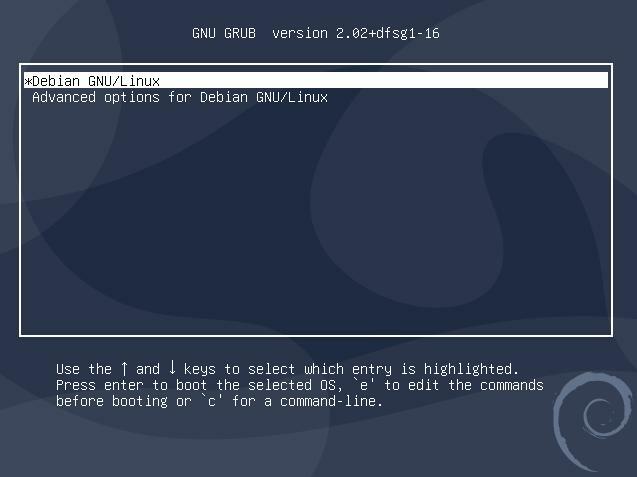 The first guide I’ll be sharing is how to enable wired 802.1X authentication in Cumulus Linux 3.7.5+ using Aruba ClearPass 6.7.x. On the “Profile” tab, select “VLAN Enforcement” from the “Template” drop-down. On the “Rules” tab, we are going to create a generic allow all role with the Dynamic VLAN. Under the “Profile Names”, select the “PoC – Cumulus Dynamic VLAN 17” that was created in the previous step. On the “Authentication” tab, add the appropriate “Authentication Methods” and “Authentication Sources.” In the above example, I am using Active Directory as an Authentication Source and EAP-PEAP/MSCHAPv2 and EAP-TLS as available methods. On the “Enforcement” tab, select the “PoC – Cumulus 802.1X Wired Enforcement Policy” that was created in step #4. Plug in an 802.1x enabled laptop into port swp11. On my laptop, I see that the wired interface is successfully authenticated in the 192.168.17.0/24 subnet which corresponds to VLAN 17. Clicking on the top entry within Access Tracker will open up the “Request Details” window. Radius:IETF: Tunnel-Private-Group-Id – We are sending VLAN value “17” down to the Cumulus Switch as a Dynamic VLAN. For further 802.1x troubleshooting, the link in the 802.1x Interface docs page is an invaluable resource. In the next blog, I’ll cover Wired MAC Authentication using Aruba ClearPass. In the meantime, take a look at some of the other tutorials we offer engineers where you can learn basic open networking commands and configurations, all the way up to advanced configurations. Our how-to videos are a great place to start. SELKS 5 is out! Thank you to the whole community for your help and feedback! Thank you to all the great Open Source projects and tools mentioned below for making it possible to showcase Suricata with this new release. All components have been upgraded in this release to the latest version available but this is not the main improvement. SELKS is now able of doing Full Packet Capture thanks to Suricata and Moloch and benefit from an upgraded Scirius CE adding a new threat hunting interface. Moloch addition allows the user to investigate and explore captured data via the Moloch viewer that provide an intuitive interface. The new Scirius threat hunting interface proposes a drill-down approach that allow to quickly find relevant alerts in a haystack and start investigation by what matter. 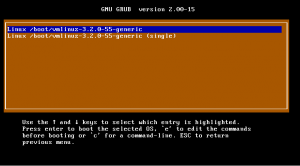 Suricata – latest git edition anytime available. Full packet Capture retention policy – thanks Joren0494 ! 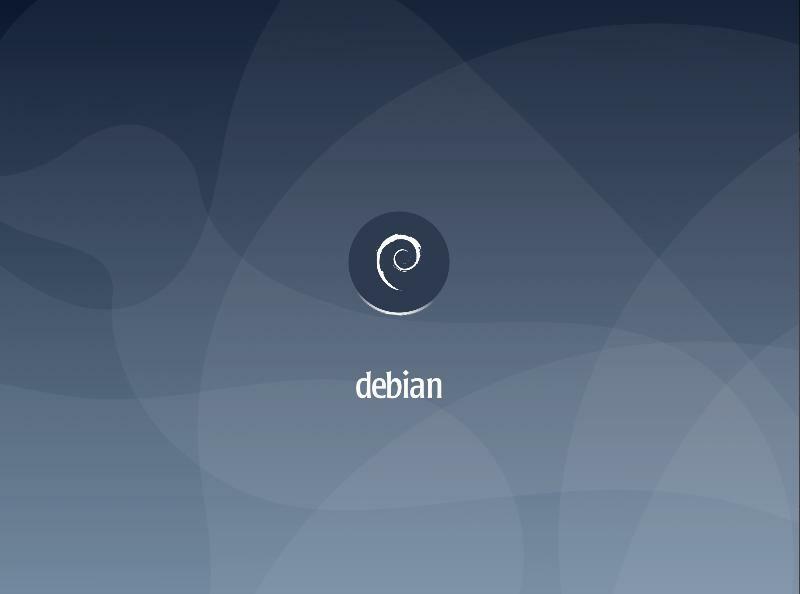 Debian – always thankful ! You can find the first time set up instructions on our SELKS 5.0 wiki page. Any feedback as always is greatly appreciated! We have just released VyOS 1.2.1. The images are available to subscribers and public clouds images submitted, and if you build an image from the Crux branch now, it will be equivalent to those images. A number of issues have been resolved, and a small feature was added. Der Beitrag Datenschutz: Das DSGVO-Projekt in München erschien zuerst auf Münchner IT-Blog. 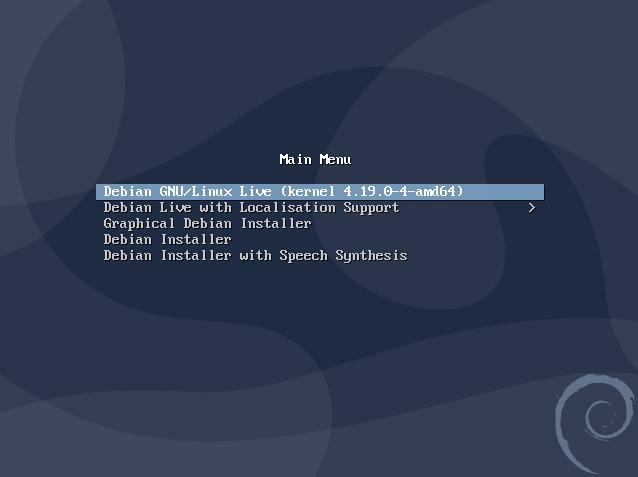 Qubes-Whonix version 14 (Debian stretch based) can be upgraded to version 15 (Debian buster based). - Testers Wanted! 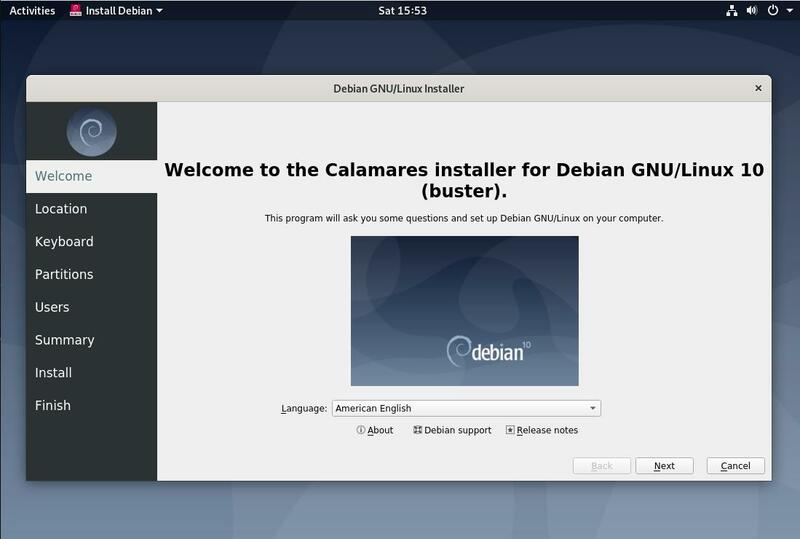 Qubes-Whonix version 14 (Debian stretch based) can be upgraded to version 15 (Debian buster based). New Qubes-Whonix 15 TemplateVM downloads are unavailable at this time and will require more time (prerequisite). Another news will be posted when these become available. LEGO just officially released MicroPython for LEGO MINDSTORMS EV3 and it runs on top of ev3dev! With contributions from the community, LEGO has worked hard to make (Micro)Python programming more accessible than ever. Head over to the LEGO Education website to give it a try. EV3 MicroPython runs on top of ev3dev with a new Pybricks MicroPython runtime and library. It also comes with a dedicated Visual Studio Code extension that includes project templates and documentation to get started. 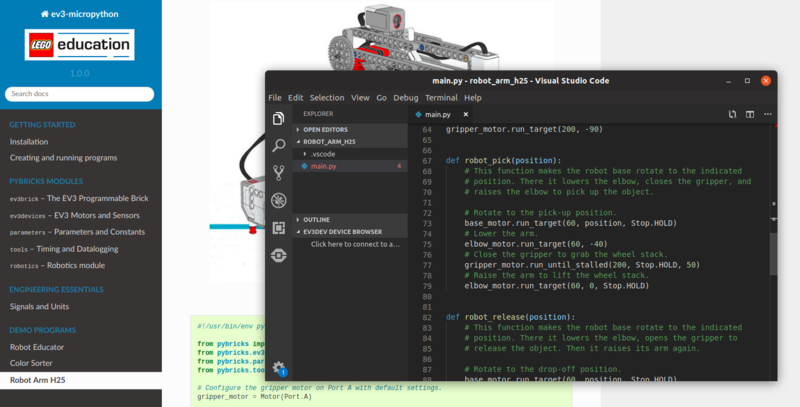 EV3 MicroPython is designed to be easier to use for beginners by taking away some of the complexity of getting started with Python programming on the EV3. At the same time, the Pybricks MicroPython runtime adds many exciting features that make EV3 robots more powerful and easier to control. This includes brand new drivers and APIs to make motor control easier and more accurate. We think that especially FLL teams will love features such as built-in gearing compensation, drive base classes, or integrated stall detection. Once the source code for this Pybricks library is publicly available, it might find its way into regular ev3dev releases as well. It wouldn’t replace any existing libraries or runtimes — everything you know and love about ev3dev will continue to be included as well. 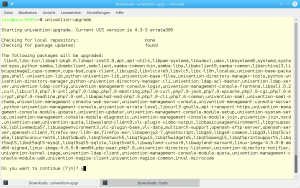 Upgrade Whonix VirtualBox 14 -> Whonix VirtualBox 15 - Testers Wanted! Whonix for VirtualBox version 14 (Debian stretch based) can be upgraded version 15 (Debian buster based). Alternatively, see previous news for new image downloads: Whonix VirtualBox 15.0.0.0.7 - Debian buster based - Testers Wanted! Qubes-Whonix / Whonix KVM: unavailable at this point. A separate call for testers will be posted later. Stay tuned! 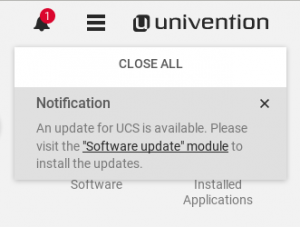 Der Beitrag How To: Upgrade to the new UCS version 4.4 erschien zuerst auf Univention. 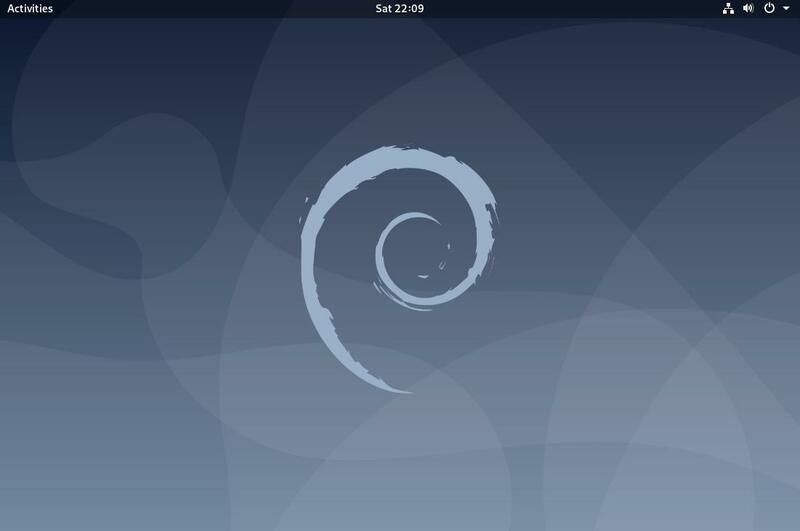 Whonix was ported to Debian buster in this release. Alternatively, in-place release upgrade is possible, see Upgrade Whonix VirtualBox 14 -> Whonix VirtualBox 15 - Testers Wanted!. From developer days to hackathons and from events to forums, Slack and social media included- there’s a community out there waiting for you! In this episode, host Brian talks to community evangelist for Nutanix Angelo Luciani and our own Pete Lumbis about the power of community and self-service. What are the perks, both personally and professionally, that you get when you’re actively participating in a community? What are some communities and resources we’ve found useful? Grab a taco, listen and find out. We promise you’ll get the taco reference after listening. Angelo Luciani: Angelo is a community evangelist for Nutanix. He gets to tell the Nutanix story to audiences all over the world. He is active in the virtualization community and also mentors others that need that extra lift. He is co-creator of Virtual Design Master the first online IT reality show, designed to uplevel viewers and participants IT design skills. He blogs at virtuwise.comand you can find him on Twitter at @angeloluciani . Der Beitrag #explainIT: Blockchain erklärt erschien zuerst auf Münchner IT-Blog.